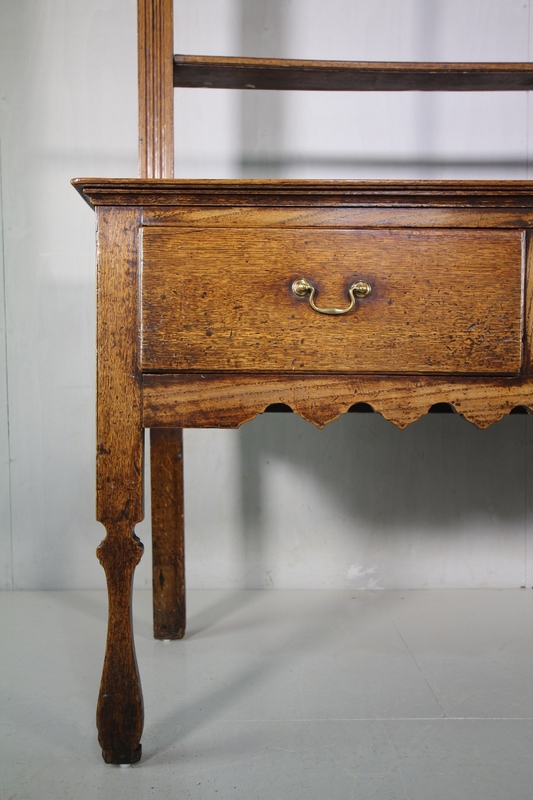 This is a beautiful, 18th century period oak antique dresser from the East of Yorkshire. 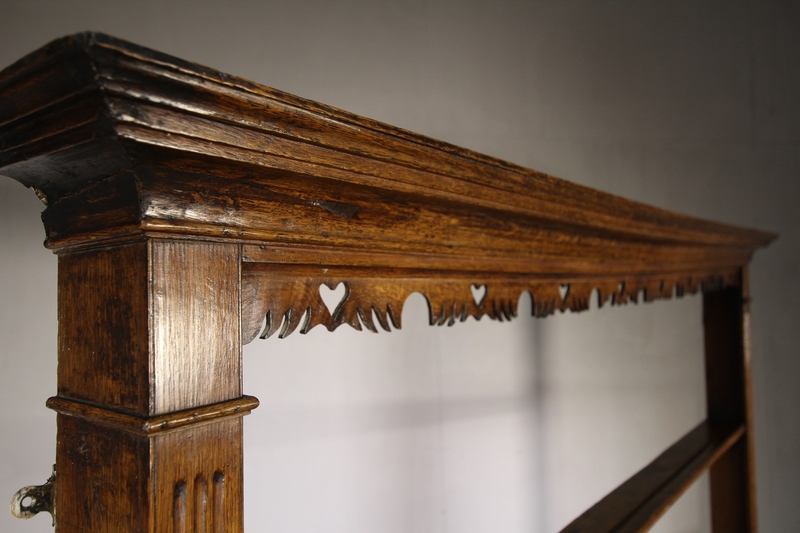 The top section delft rack features peirced heart designs to the cornice ,that is also shaped and moulded. 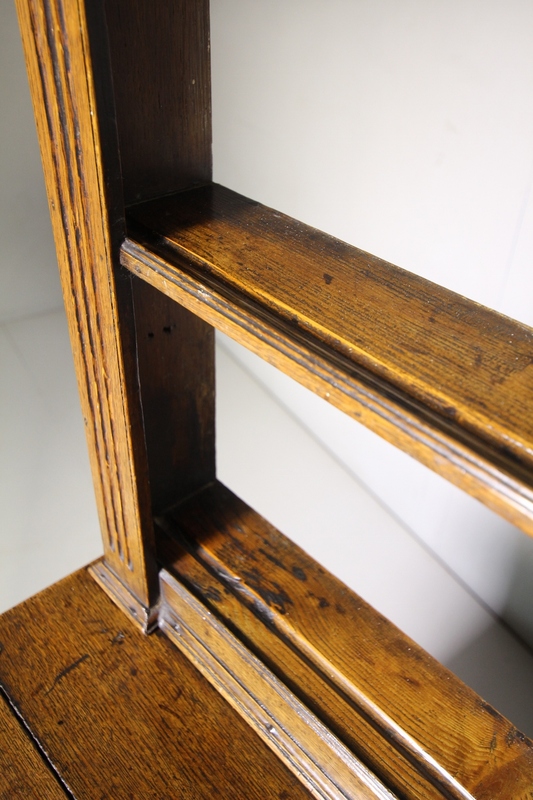 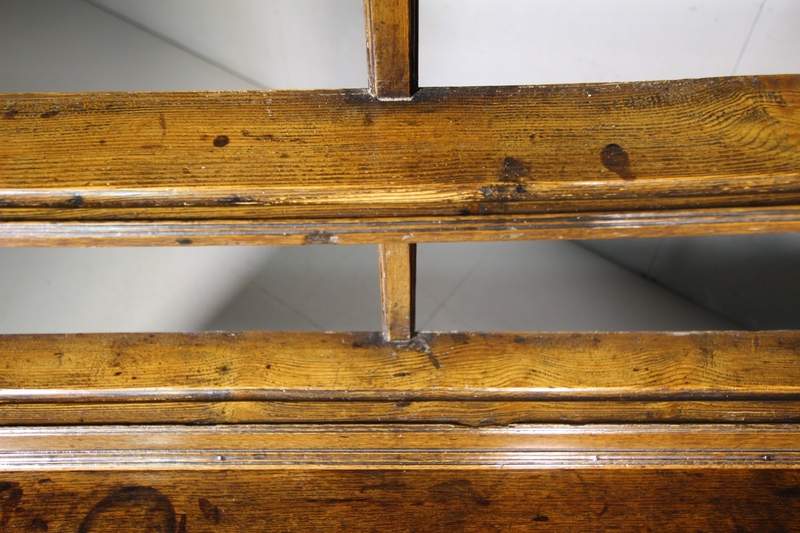 The sides of the rack have decorative, flat, reeded columns. 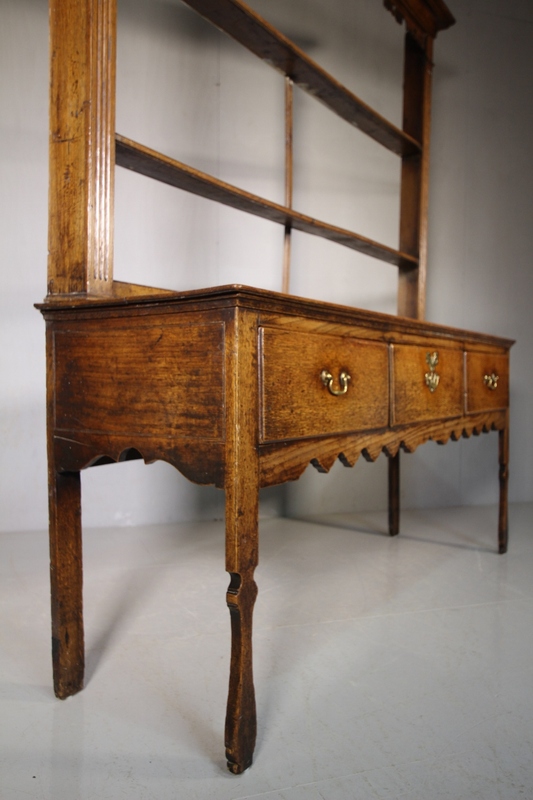 The silhouette leg dresser base has three drawers along the front, all have the correct, period brass ware handles. 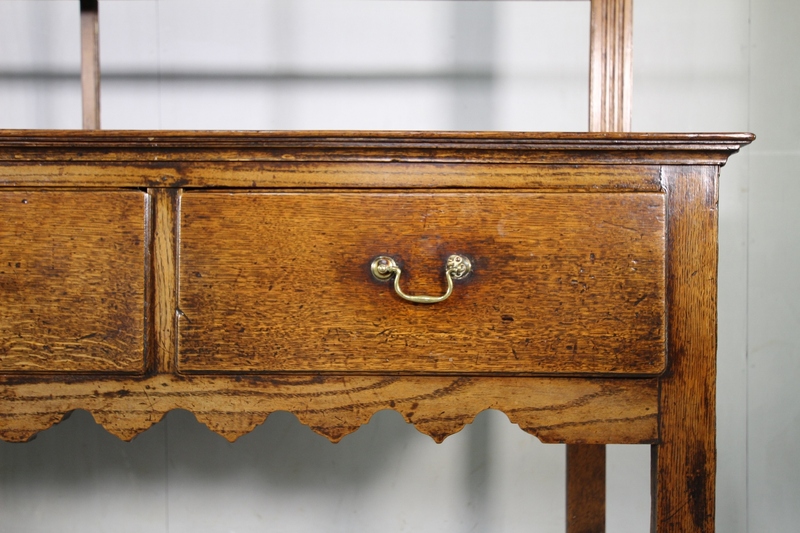 The dresser base also has a shaped apron to the front and sides. 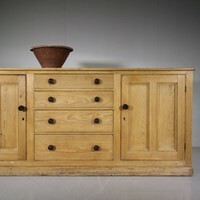 All in very good condition and is a good colour with lovely patina. 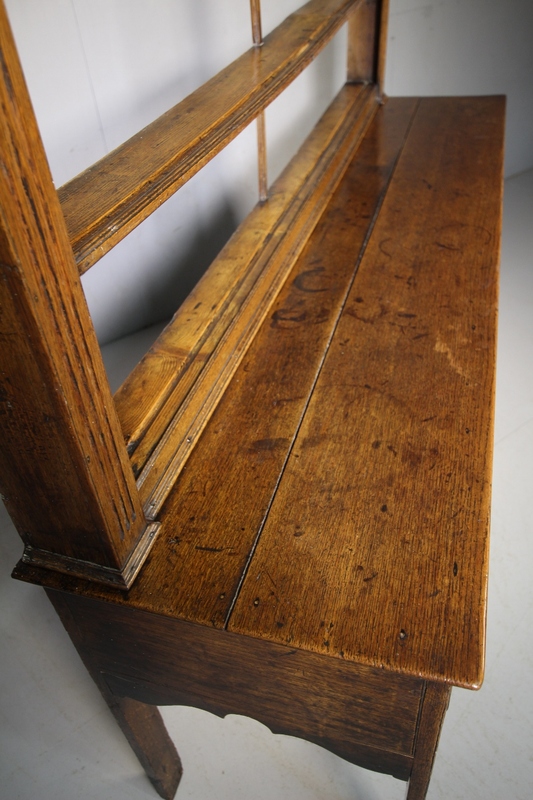 English and dating from around 1775. 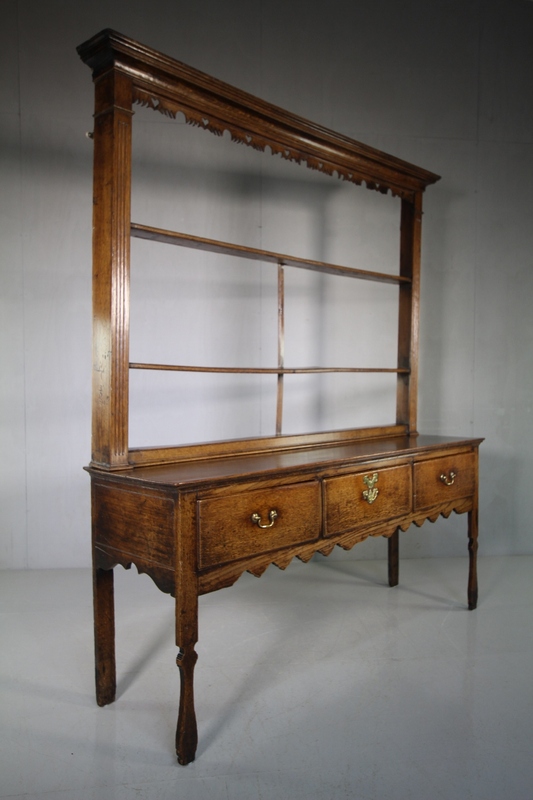 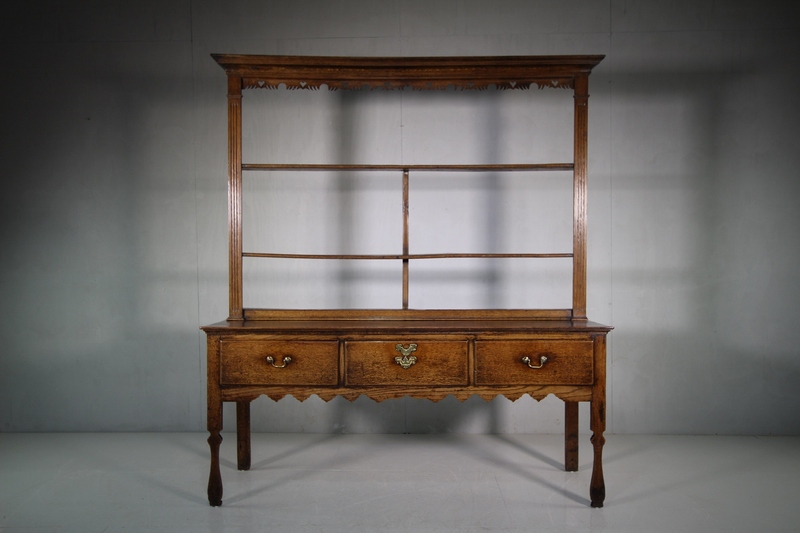 An elegant period oak antique dresser that is a more , finer model.